Cocoa Solids – what do all these numbers mean? When you’re buying luxury chocolate bars, you’ll often see that they’re marked with numbers such as 70%, 85%, or even 99%. What does all this mean and why does it matter? The percentage of cocoa solids contained is usually considered as the best measure of the quality of chocolate. And the more you have of ’em, the better for a higher quality chocolate. Chocolate contains ingredients other than cocoa solids, such as sugar, milk and lecithin (a stabiliser made from egg yolks), so the higher the percentage of cocoa solids, the healthier the bar is considered to be. There are certain health benefits to be derived from eating a moderate amount of dark chocolate high in cocoa solids but, as I mentioned before, eating chocolate is not exercise. 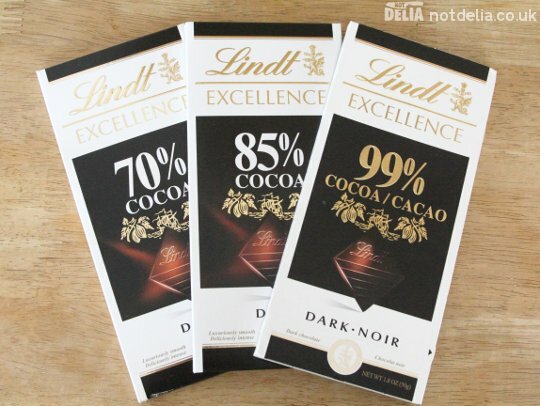 Most people consider 70% to be the minimum required for high quality dark chocolate, and indeed by the time you get to, say, 99%, the chocolate tastes very bitter and dry. Chilli chocolate – is it just a fashion fad?